I thought the weekend was a great opportunity to do some bird shots but again most of the birds didn’t show up. The ones that did stay were very elusive. So all I got was this and some other florals. 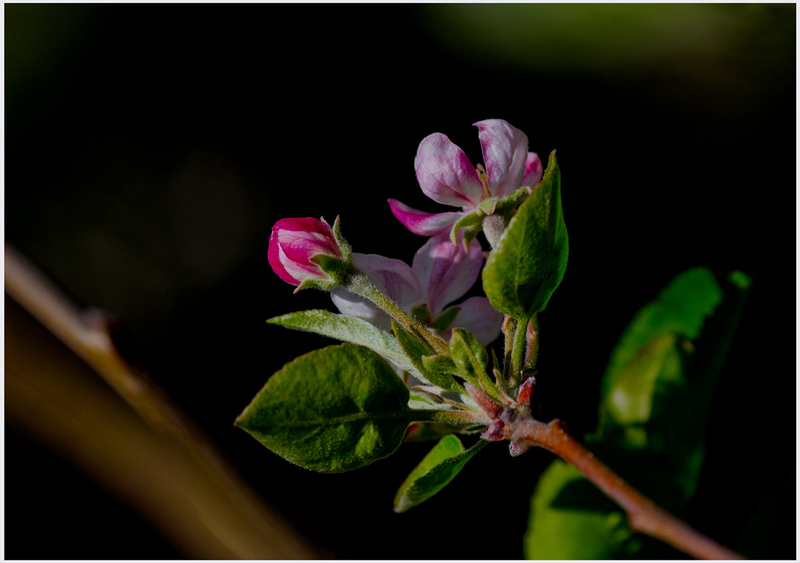 My apple tree started to bloom so I hope I’ll finally get some good produce this year. Hope you enjoy.